You can enter a single gas station without seeing one. Even if you don’t go instead you are bombarded with ads to come inside and get a 32oz. If your road trip this summer, your probably hot. And thirsty. So you want to give it to all the marketing as the only thing you have in the car is a water bottle filled with warm water. Now I am not going to tell you to not have a soda, or what we call here in Michigan, pop. I am going to ask you to consider making a better choice. I use to drink pop on a daily basis, when I didn’t know any better. Now it’s only on a rare occasion. On that occasion I make the choice to choose a better soda. Not any of the stuff that is made by the big name brands or comes out of a fountain at the gas station. Instead I reach for something different, that I know is going to taste better thus being more satisfied. I don’t need a 32oz mega cup when I have a bottle of Boylan Soda. 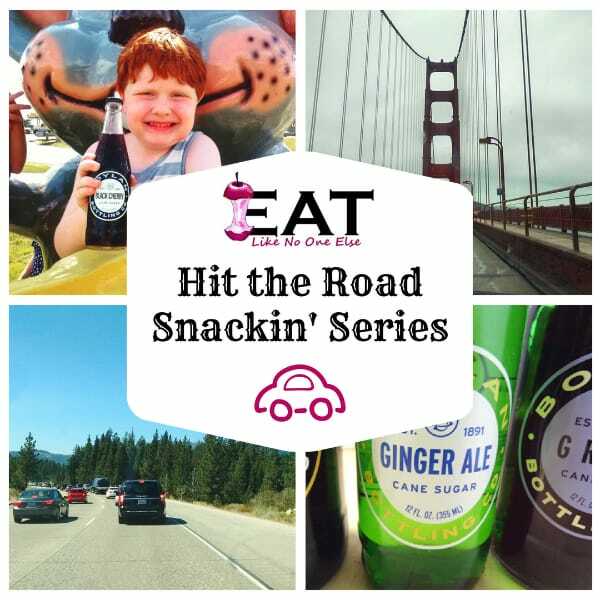 That is exactly what I am sipping for this newest edition of our Hit the Road Snackin’ series – a summer series dedicated to eating and drinking better while on the road. Boylan comes in glass. That already gives it an advantage over anything coming out of a can or plastic bottle. The reason – glass holds carbonation better. You can perfectly carbonate a beverage and leave it in glass and it doesn’t go flat. This is not the same with the can and plastic bottle. What happens is that you have to over-carbonate the soda going into those for it to last long enough on the shelf. Another reason to go with glass is that it is better for the environment. If you don’t end up recycling that plastic bottle, it will end up in a landfill for a long time. Same thing goes if you have a fountain drink that is depended into plastic as well as having the plastic straw. Places like Starbucks are actually getting rid of straws in order to cut down on garbage. 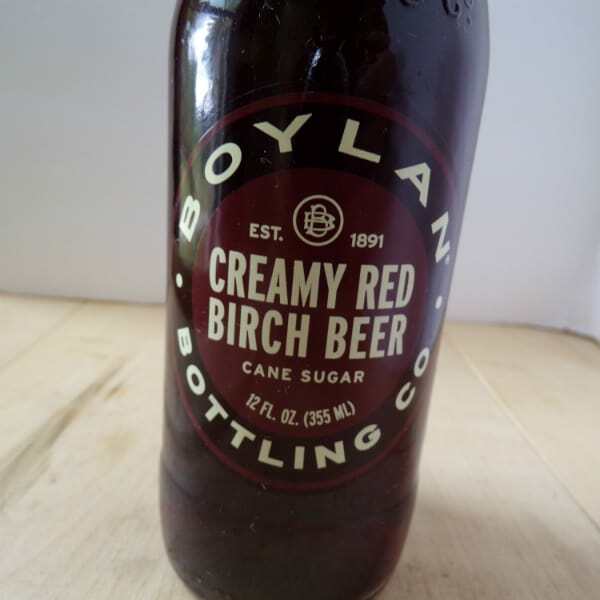 I love the simple classic look of a Boylan soda bottle. Boylan is a company that has been around since 1891. They began in Paterson, New Jersey but are not headquarters in New York City, New York. It all started with William Boylan and a serum made from birch trees. This drink was sold out of a barrel on the back of a wagon (source). I say that would kind of fun to see that today. Can you imagine a barrel of birch beer rolling through the neighborhood! These bottles are worth of making a “tree” out of outside your house. 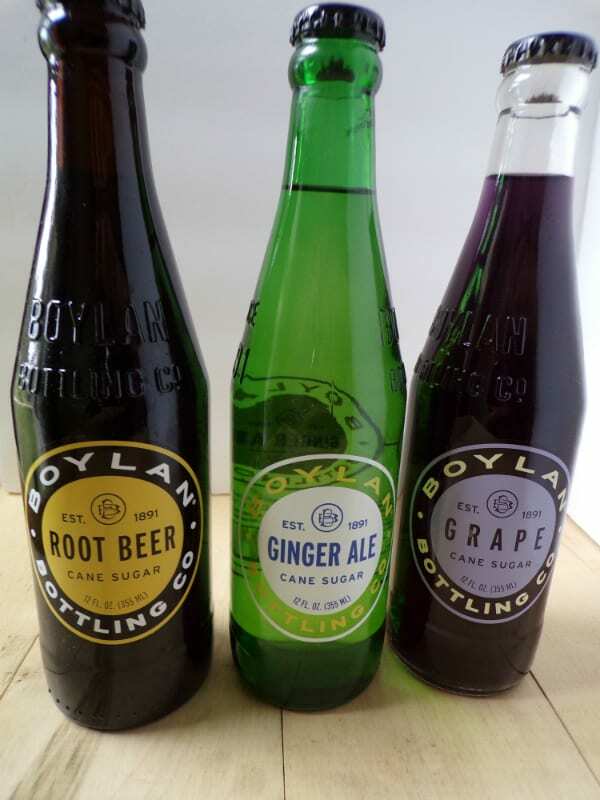 Here are some of my favorite flavors of Boylan soda. 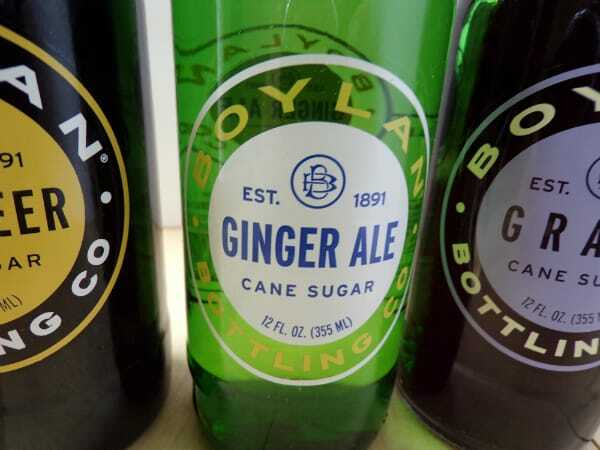 Boylan uses pure cane sugar in their drinks as opposed to using beet sugar or high fructose corn syrup. If you are avoiding GMOs, you can do that with Boylan soda. Most soda you find is made with high fructose corn syrup. There are some “special” versions of the most popular name brand sodas the have cane sugar editions, like “Mexican Coke”. My wife’s favorite. This is how an orange soda should taste. It’s not overly sweet and fake tasting like the ones you are commonly finding at the gas station. The drink that started it all for Boylan. 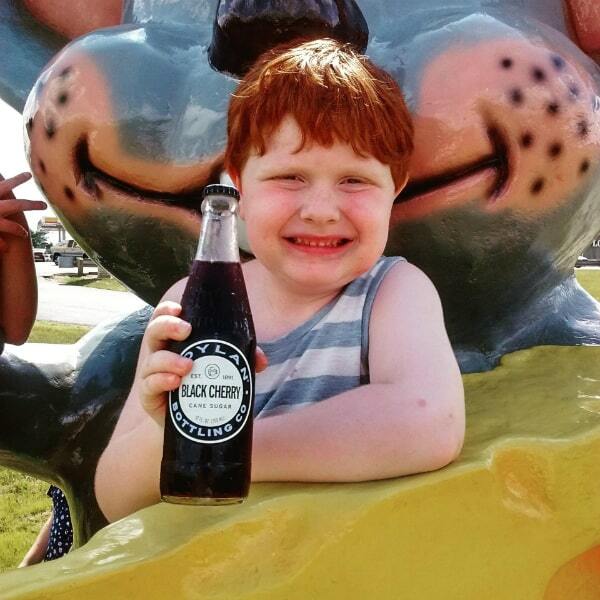 If you have never had a birch beer, let this one be your first one. The flavor is reminiscent to winter green. If you haven’t had that before, I know that may sound weird, but it’s something I love. The flavor is sharp and crisp. Try putting something ice cream in it and making a float. Yeah I am a fan of this stuff. I appreciate this birch beer as well. It is not as sharp and strong tasting as the original birch beef. They have add some vanilla to it, which gives it a more cream like taste. The best way to describe it is cream soda meets birch beer. 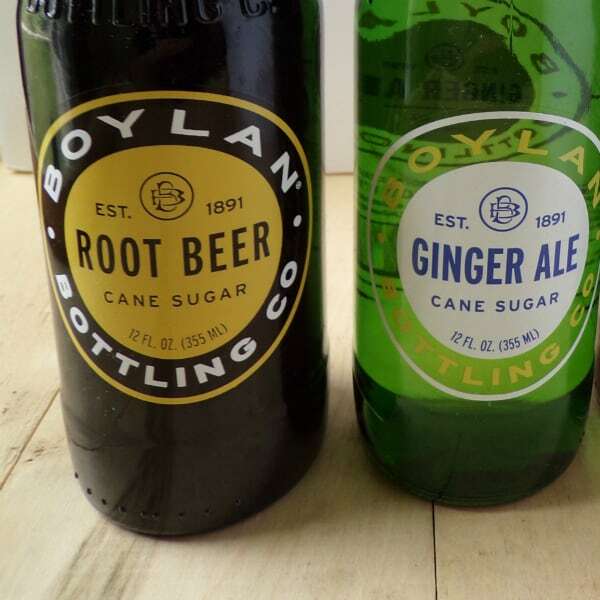 You don’t know what root beer can taste like until you give Boylan Root Beer a try. Those popular name brands don’t make a root beer as good as this one. You can tell this root beer was made by someone with a history of birch beer. It has some of that flavor to it and a spiciness all it’s own. If you have only had the most common root beers, this will be a completely different experience for you. One you will want to have. In recent years, Boylan has some out with some seasonal flavors. Their spring one is Shirley Temple. This is a take on the classic kid mocktail. It combines the flavor of ginger ale with cherry. It’s pretty good. Boylan soda is available in lots of places. Before you head out on your road trip pick up a 4-pack or two. Boylan has a store locator on their site where you can see where to buy it. Tall glass bottles are easy to keep cool in a cooler with ice. I prefer to toss them in the fridge the night before I leave on a road trip and then grab them out and put them in the cooler. This way I know they will be nice and cold when the thirst hits in the middle of the day. If you have the space in your car, van, or truck, a mini cooler is great to have drinks in at your disposal if you are big cooler is more out of the way. My preference is to use a collapsible bag that I can put some ice in. That way if I don’t need it for a part of my trip, it doesn’t take up too much extra space. We love our cheese. So having Wisconsin within a day’s drive is a nice perk. The kids enjoy heading to the different cheese shops and tasting the samples. Cheese curds are must anytime we are in Wisconsin. This photo is taken outside of Carr Valley Cheese. We have to get the photo of the kids either in front of a mouse, a cow or sometimes both. That day we got some freshly made squeezy cheese curds. After we picked a huge bag up for not a huge price, we got in back in the van, snacking on them, while popping the top on some Boylan soda. It was a very satisfying snack. Disclaimer: This posts includes affiliate links. This means that at no additional cost to you, I will earn a commission if you click through and make a purchase. These are products and services I recommend because I use or trust them. Cookies will be used to track the affiliate links you click. I was also given products for review. All of the opinions are my own. Previous Post: « What Are the Spots on My Peaches? I have stopped at Carr Valley cheese. However the best cheese can be found at Humbird Cheese in Tomah WI. My parents found this place when they camped in Maustin WI. I was along one time and bought cheese and found it absolutely delish. They are always willing to give you a sample to try before you purchase. The 3 year old cheddar is to die for. It is still sharp yet remains creamy. Wonderful in mac and cheese or a grilled cheese sandwich or for eating as a snack. Just thought I’d share this great info with you. I think they will ship as well. Best to check as I am not sure.